South Plainfield, New Jersey, 25 August 2016 – McWane Plumbing Group (a McWane, Inc. Company) is proud to announce the opening of a new distribution warehouse facility in South Plainfield, NJ. This new warehouse distribution facility will allow McWane Plumbing Group to better serve east coast customers by providing shorter shipping times as well as increasing inventory and product availability for customers. The facility has approximately 65,000 square-feet of indoor warehouse storage which will increase efficiency in stocking and distributing products. There are also 6-acres of outdoor storage. The facility will operate from 6:00am to 4:30pm (EST) Monday through Friday and will be managed by New Jersey native Jerry Kosloski, a 25-year shipping and logistics professional. Pre-Arranged Pick-ups are available as early as 4am. The new Distribution Warehouse stocks multiple brands including; Tyler Pipe & Coupling, Wade Drains, Anaco-Husky and AB&I Foundry plumbing products. 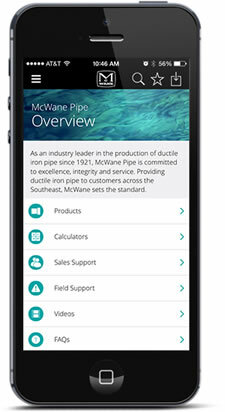 “This new facility represents our continued focus on providing our plumbing products to customers as quickly and efficiently as possible,” said Kurt Winter, Executive Vice President of McWane Plumbing Group. “The northeast region of the country is booming with commercial development and that’s why we chose this strategically located region where we can reach New York City in just 30 minutes,” said Winter. “We will continue to invest in infrastructure and logistics support to maximize our capability to perform as a leading supplier of storm and sanitary plumbing products", continues Winter. To celebrate the launch of the new warehouse, MPG will be hosting an open house BBQ event that will take place on Tuesday, 27 September 2016 from 10:00am to 2:00pm at McWane Plumbing Group, 111 Somogyi Court, South Plainfield, NJ. Check with your local distributor or sales representative for more information.